Description: PHILIPPINES, PROVINCE LAGUNA, APRIL 1978. 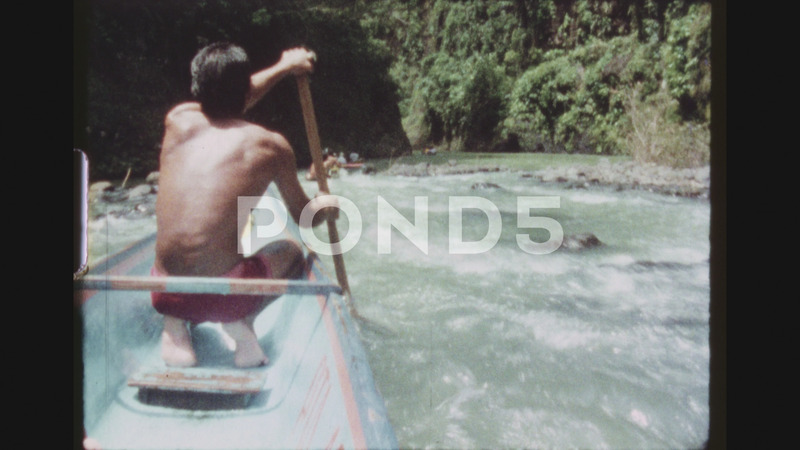 Two Shot Sequence Off A Wooden Canoe In The Pagsanjan River. Skillful Boatman Manuevers A Boat Between Rocks Through Rapids.